We offer you a tailored and solution-neutral consultant mandate for your company, which we also support with the fully responsible implementation of the resulting IT solution. Through our long-term partnerships with renowned software manufacturers such as Dassault Systèmes, you benefit from our wide range of services, experience and product support. 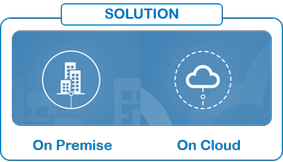 You have the choice between an on-premise solution and an on-cloud solution. For the “on cloud” solution, there is a “public cloud” as well as a “private cloud” to choose from. Apart from a few differences, both solution variants offer an almost identical performance spectrum. 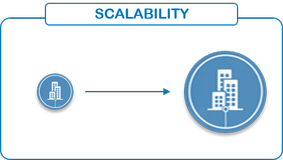 Grow your business, plan mergers or partnerships with other companies, no problem, because “on premise” as well as “on cloud” solution offers you the right scalability. A later change from “on cloud” to “on premise” or vice versa is also possible.